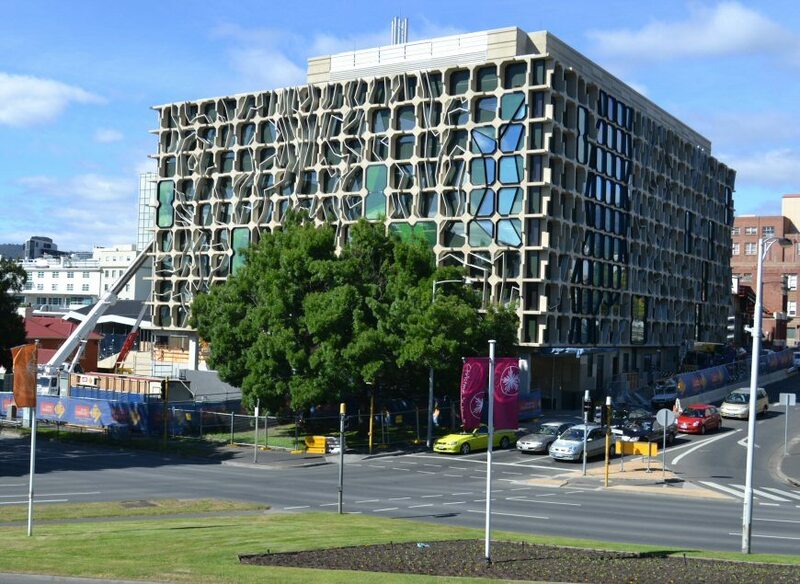 The University of Tasmania’s new Medical Science 2 (MS2) building is the first educational building in the apple isle to achieve a Green Star rating. The project has been awarded a 5 Star Green Star “Education Design v1” rating by the Green Building Council of Australia (GBCA). Some of the building’s environmentally-sustainable attributes include a 80,000 litre rainwater-harvesting tank, energy-efficient lighting units, 200 secure bike parking spaces with showers and storage for staff and students, and priority parking for small cars. Contributing to the five star rating is the efficiency of the mechanical services and energy solutions that were designed, commissioned and now managed by AE Smith. “It was a rewarding project to help our partners achieve their goal of top environmental performance,” says Harry Chugg, General Manager, AE Smith Construction in Tasmania. “We worked with the University’s project team towards attaining their green building credentials and drew on our expertise from similar projects AE Smith has delivered elsewhere around the country to a tailored solution,” adds Harry. MS2 is also only the fifth building in Tasmania to achieve a Green Star rating.